Spring must be getting close. I have the remodeling bug bad. I really want to start a new home project, however, since we (my husband & I) already have so many underway that are not complete--alas I have to be content to just do a little remodeling around here. I hope you'll take the time to leave me your thoughts on my blog's new look. 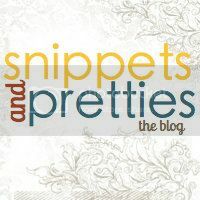 The blog design is courtesy of Shabby Blogs and my new graphics are from Free Pretty Things For You Everything is free at these two sites. Thanks for your service. I love my new look. Sunday was our family craft day. Courtney, Amber and I got together to make us a little St. Patrick's day lawn sign. I think they turned out pretty cute. What do you think? Wooden Oval for face 9"
Various wooden pieces needed. My husband used a paint stirrer stick for the hat band and then a cut a small square from the end for the buckle. I had him keep the end that dipped in because I liked it. I thought that would make a good spot to put the shamrock on the hat. Wooden pieces laid out prior to painting. Sign green forest. Hearts grass green. Decorate the hearts as you wish. We all did our different. The hat band black. The inside of the buckle grass green and and the outside stripe with the metallic gold. Remember to add the little stud that comes through the hole. The top of the oval needs to be based in black. Inside of the oval paint with Santa's flesh and use the Autumn leaves for the beard on the outside edge. Paint the nose piece pink angel. Also use the pink angel for the cheeks. Black for the eyes and Autumn leaves for the eyebrows if you choose to put them on. Use Santa's flesh for the wavy lines in the beard. And a black sharpie marker for the detail on the buckle, around the beard and shamrocks. Secure the oval in the middle of your sign with hot glue. Add a strip of green ribbon for the hat band. With hot glue, secure the brim of the hat just below the hat band. Glue the buckle into place on the hat band. Make your shamrock from the 3 small hearts and secure to the hat band. Glue the nose into place. Make shamrocks from the 6 larger hearts and glue into place on the sign. Add a stem with the pipe cleaners. Using the Cricut machine, cut your words out of the vinyl. Place them on your sign. Using a clear coat varnish, spray the entire sign to protect it from the weather. Tie a cute bow around the stake of the sign. Super cute idea! Found you on MBC. Really cute. Im a new follower from the MMBH, sorry for being a day late. Super cute and easy! And I love that you used the Cricut. I have one but don't use it much cuz I don't know what to use it for besides making cards. Following back! That is just too adorable! I do wish I was born with the crafting gene. Thank you for participating in my Get Wired Wednesday Blog Hop. I am following your blog. Awesome Tut...........I love craft blogs and that leprechaun is too cute!! I can't wait to browse your blog to see what you have for Easter. Thank you for joining us on Wednesday’s I ♥ Blogging Hop #4, I am your newest follower. Have a wonderful Wednesday! Hello. I am a New Follower from MWBH. Have a great day!! This is sooo cute! I've saved you to my favorites! I love this! I'm hitting the blog button and will link for you tomorrow. I'm following you back. Too Funny! I am a new follower thru GFC. I am also new to blogging with a little more than 2 months on me so I may make a mistake here and there. I learn a little every day. I would greatly appreciate a follow back. Keep crafting away because we need people who work with their hands. I only wish I had some talent! Too Cute love your site!!! From MBC please follow. Thanks for the follow. I need to find the time to do some crafts. I look forward finding fun things to do. This is very cute! You have a fun blog! Following you back. Thanks for following Money Savvy Mama, I now following you too! Have a great day! Hi there! 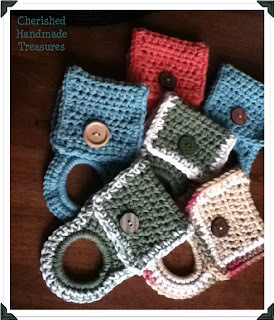 Awesome handcrafts blog you have there. I love it! Following you from Blog hop. Have a good day! That's too cute! I am following back! This is super cute! I wanted to post earlier about it but I have been under the weather with migraines. Hopefully I can pop in next week & link up with you! Have a great weekend!